Creating a home with desirable curb appeal is a goal of most homeowners. As you are choosing trees, foliage and lighting, are you also thinking about your driveway design? Except for grass, your driveway probably takes up more square footage than anything else in your yard. The right driveway is a welcome mat for your Interior design. Your landscape plan should include the type of driveway and sidewalk that will enhance the style of your home. An elegant Tudor needs a cobblestone drive while a mid century ranch would be better suited to a textured concrete driveway. Let us look at some of the choices available today. 1. Concrete is one of the first things people think of when they consider their paving options. The plain but functional concrete drive is being replaced by versions with stamped designs as well as colors. Popular paving materials such as cobblestone, brick and fieldstone can be replicated in concrete at a fraction of the cost. You can also feature geometric designs in your drive. Staining the completed driveway will create depth and texture that adds to the illusion that you have a stone driveway . While plain concrete is one of your best budget options, choosing and paying for an upscale design will give your home increased aesthetic value. 2. Affordability makes asphalt another popular choice. It is strong , does not show stains like concrete does and needs only a minimal amount of maintenance. A long dark driveway can look impressive in a well landscaped yard. 3. Brick pavers create a driveway that is elegant and timeless. This is a wonderful choice for an historic home. You can sometimes find old bricks for sale at companies that specialize in demolition of older homes. Patterns can be created with the bricks ranging from herringbone to basketweave. A foundation bed of sand will give your driveway stability. Another plus is that if a brick cracks it can be replaced without interfering with the whole driveway. 4. Cobblestone is a costly but long lasting choice for high end homeowners. It is extremely durable and environmentally friendly. The labor intense process of laying this material, plus the cost of the material itself, makes the up front cost prohibitive to most homeowners. 5. If brick and natural stones are out of your price range and even concrete pushes the budget, you do have the option of gravel. This crushed stone is eco- friendly because it allows rainwater to soak into the area instead of running off. Maintenance is minimal. You will have to replace the stones every few years but you will never have to worry about cracks in the driveway. Adding a border of bricks or larger stones will give your driveway definition. This choice of driveway material is popular in rural settings. When choosing a driveway material think about price, maintenance and durability as well as how well it fits the look of your home and yard. How does it fit into your lifestyle? Children that skate or shoot baskets in the driveway will appreciate a smooth surface. If you live in a snowy environment talk to a local driveway designer to see what is slip resistant and easy to shovel. Drive around neighborhoods with homes like yours and see what driveways appeal to you. Every detail of your home, when thoughtfully chosen, adds appeal for you to enjoy now and contributes to the resale value in the future. 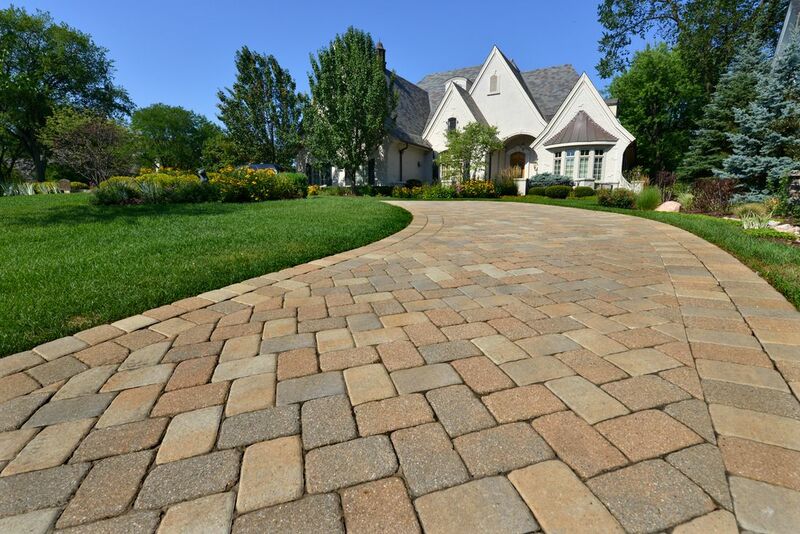 Spend a little time looking at the decorative and functional options for your driveway. You will reap the benefits every time you return home.